Morris William Travers was born on January 24, 1872 in Kensington, London. 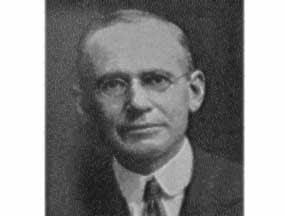 He was the son of Dr. William Travers a surgeon and a pioneer of early aseptic techniques and Anne Pocock. Travers went to school at Ramsgate, Woking and Blundell's School. Showing an aptitude for science Travers went on to University College, London in 1889 and went to work for Sir William Ramsay. He graduated with a a B.S. in 1893. After finishing his bachelors Travers went to Nancy, France where he planned to study organic chemistry, but finding both the subject and his advisor disagreeable he returned to University College where he returned to work for Ramsay. Ramsay was working studying rare gasses and had isolated Argon in 1894 and Helium in 1895. Ramsay realized that were still missing spaces on the periodic table left for undiscovered, non-reactive, noble gasses, so they built a copy of the machine invented by Carl von Linde which allowed them to obtain quantities of liquefied air. In 1898 they obtained a large quantity of liquefied air which they subjected to fractionated distillation. From this they isolated Krypton in 1898. Krypton derives its name from the Greek word kryptos or hidden, as it is hidden in air. Later, examining a volume of argon, Ramsay and Travers identified another of the missing gasses, which they named neon after the Greek word for new, neo. On further examination of the liquefied air residues they found a third, heavier gas which they named xenon, after xeno the Greek word for strange. Because all of these gasses were unreactive the only way they could be identified was by placing them in a glass tube and electrifying them, each gas producing a unique spectrum. In the space of forty two days they had discovered three new elements. In 1898 Travers obtained his Ph.D. and in 1902 he published an account of their research. In 1904 he accepted a position at University College Bristol and in 1906 he went to Bangalore, India to help found the Indian Institute of Science. In 1915 he returned to England to assist in the war effort working on the production of scientific glassware and munitions. He retired in 1937, but remained active as a consultant and writing a biography of Ramsay which was published in 1956. He died on August 15, 1961.